" Many professors perform three very different professional activities of teaching, writing, and serving, each of which could itself be a full-time job. You have to do all three jobs—and well. No wonder you can feel distracted and pulled in many directions." "The first time I saw Susan present her Pyramid of Power model, I knew I needed to learn more. This book provides both the ideas and the practical advice that can help faculty and faculty developers make our lives more effective and more livable." "An amazing book—essential reading for every faculty member. The integration of sound scholarship and practical advice is extraordinary. This book will power faculty workshops and faculty lives!" 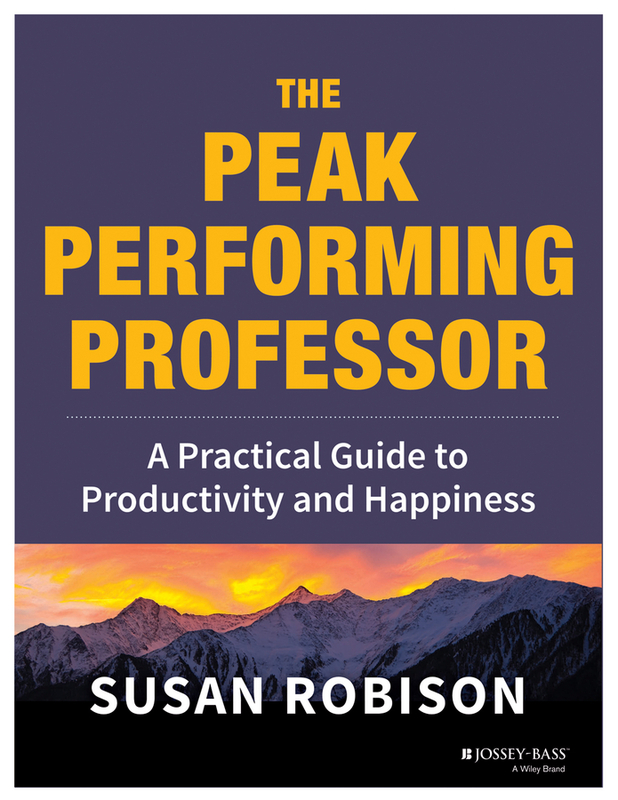 "Not another generic time management tome for busy professionals, this book offers a thoughtful, research-informed, and in-depth guide for over-extended faculty members who seek to maintain productivity while working more intentionally and living with greater balance." Available at your favorite book and e-book online retailer.